Rising from the alluvial plain that the Mississippi River carved in eastern Missouri and Arkansas is the geological feature known as Crowley’s Ridge. This ridge, composed of sedimentary soil known as loess, is populated with flora and fauna that are more-closely related to ecosystems of the Appalachians then they are to the closer, mountainous regions of the Ozarks to the North and West. 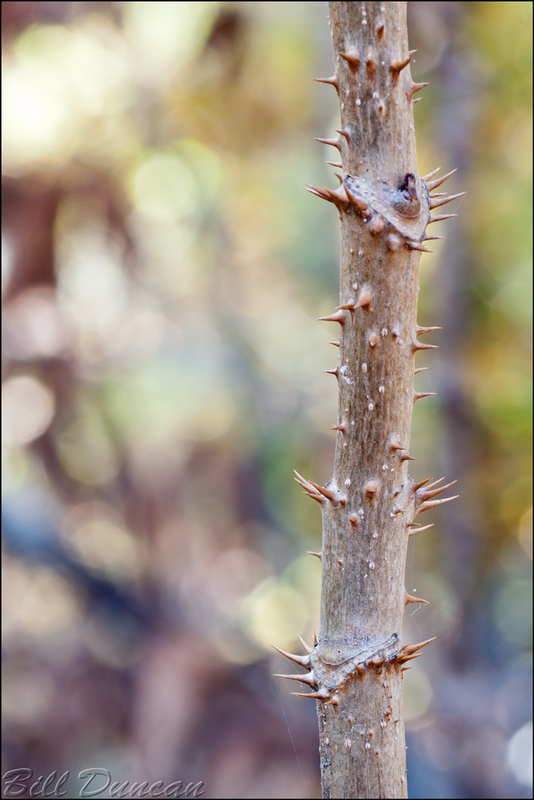 One of the uniquely eastern species that is commonly found along Crowley’s Ridge is the devil’s walking stick, Aralia spinosa. This image was taken at Morris State Park in South-eastern Missouri.